From large hotels to quaint bed and breakfasts, find the solution to your accommodation needs below. Please feel free to reach out to us for assistance with group bookings or hotel suggestions. 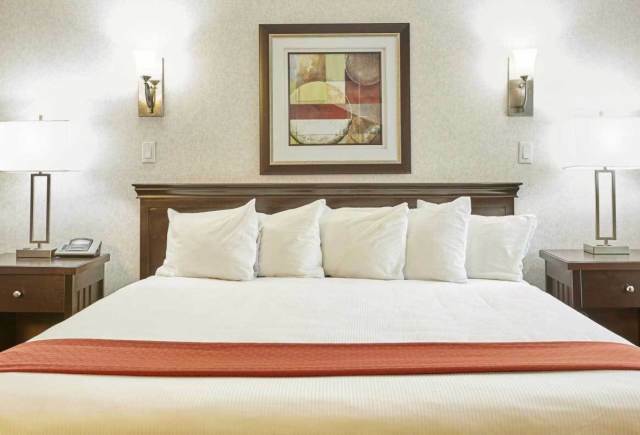 Enjoy a comfortable stay at the newly renovated Travelodge by Wyndham Abbotsford Bakerview, a convenient hotel located off Highway 1 just a short drive from Abbotsford International Airport (YXX). Nearby attractions include Mill Lake Park and Castle Fun Park, an amusement center that features go-karts, mini-golf, arcade games, and more. The University of the Fraser Valley is also nearby. Make the most of your stay with free high-speed WiFi, an indoor heated pool and hot tub, and our on-site restaurant. Abbotsford Hotel provides an exceptional hospitality experience, offering premium perks like free parking, complimentary continental breakfast, free wifi, sauna, fitness centre and heated indoor pool. When you stay with us, you'll get more than just a comfortable place to sleep. We offer high quality bedding with comfy linens. Enjoy our on site dining at Vic's Diner which offers a full food and beverage menu. Also offering complimentary long term parking when departing from the Abbotsford airport. Must stay one night pre or post flight. SUPER Accommodation and SUPER Service at our 3.5 star motel! Clean well appointed air-conditioned rooms, with VERY comfy beds, a fridge, microwave, coffee pot and hair-dryer. A great continental breakfast awaits you every morning to help you start your day off right! Our enthusiastic and great staff will ensure that your stay is an extremely pleasant and relaxing one. 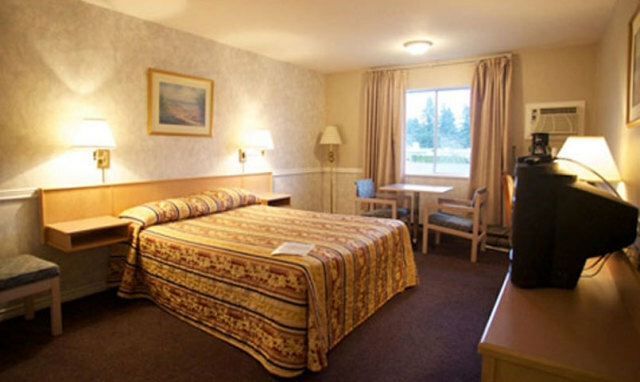 With comfort and hospitality as our top priority, The Alpine Inn is a unique hotel in the heart of the Fraser Valley. 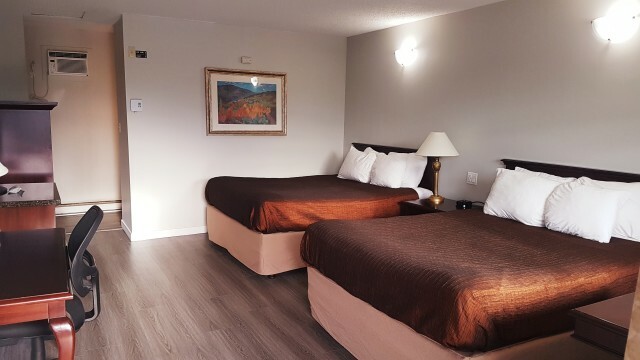 Our hotel in beautiful Abbotsford BC offers reasonable rates, 43 warm, comfortable rooms equipped with cable TV, coffee maker, local telephone service and internet access. You will find the accomodation you’re looking for. 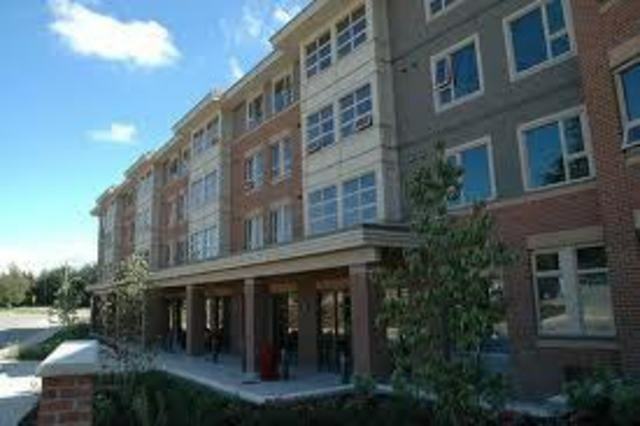 Baker House is conveniently located on the Abbotsford campus of the University of the Fraser Valley. From May to mid-August each year, we open our doors to the public and offer nightly accommodation in apartment style units. Each unit consists of two private, single bedrooms, a shared bathroom with shower, kitchenette (mini-fridge, sink, and microwave) and a lounge area with a small dining table and two chairs. 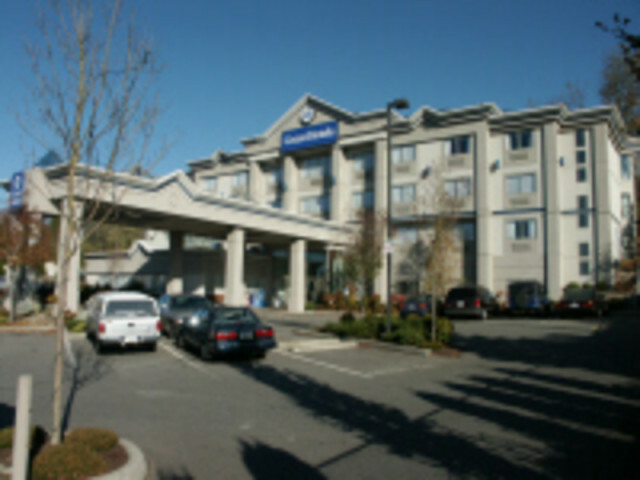 The award winning Best Western Plus Regency Inn & Conference Centre is one of Abbotsford’s largest full-service hotels. The hotel offers a complimentary hot breakfast buffet, two indoor pools, restaurant, convention space and much more. 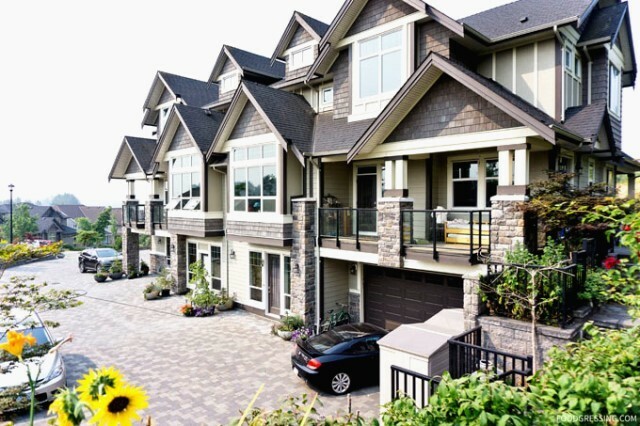 Conveniently close to the Abbotsford International Airport-YXX, Tradex and the Abbotsford Regional Hospital & Cancer Centre and within minutes of major shopping and recreation areas. 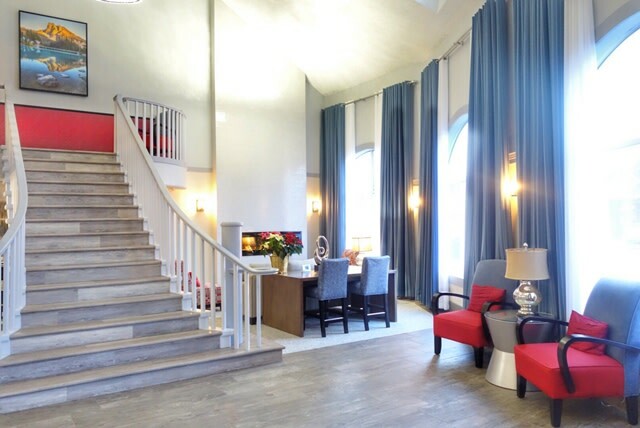 A luxury Boutique Hotel at Pepin Brook Vineyard Estates near the Abbotsford Airport and Tradex. This tudor style accommodation provides excellent views of Mt Baker and the working vineyard. All six suites are well appointed, and movie theme oriented. Gourmet breakfast, parking and wifi are included. See website for photos, reviews, contact information, and direct booking details. 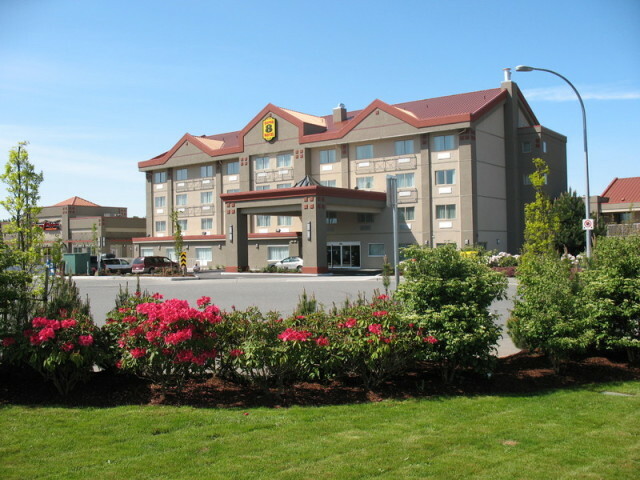 The Coast Abbotsford Hotel & Suites is the premier destination for corporate and tourism travelers visiting the Fraser Valley. Our hotel features an indoor swimming pool, hot tub and fitness centre available 6am - 11pm. Wired and wireless high-speed internet access in addition to Cable TV and local phone calls are complimentary in all rooms. Not every wine adventure needs to be a road trip. Abbotsford is a thriving agricultural hub in British Columbia and is home to several wineries nestled in the countryside of Mt. Lehman, famous for its rolling hills and stunning views of Mt. Baker. Under an hour from Vancouver and 30 miles from Bellingham, this winery cluster in the Fraser Valley region makes for the perfect day trip.